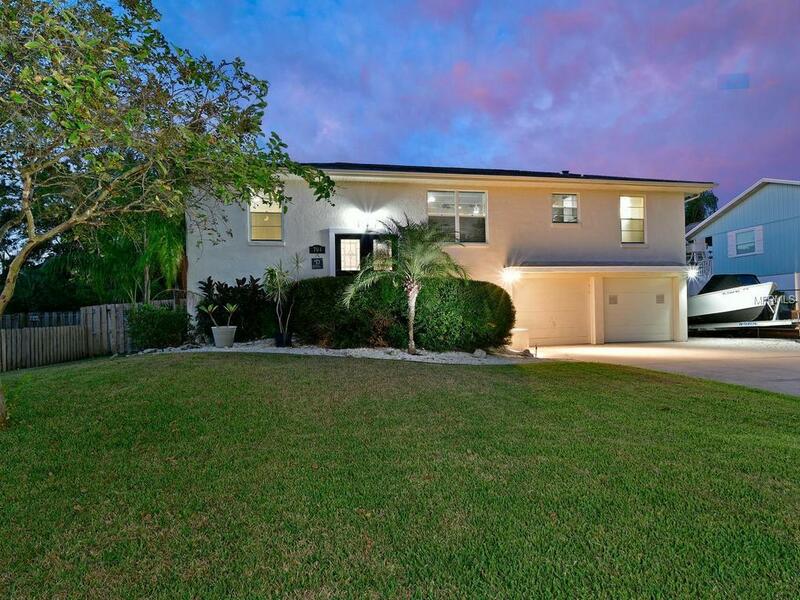 Wonderful opportunity to own this beautiful Key West home in the desirable boating community of Palmetto Point. This completely updated home is well appointed with beautiful wood look floors through out, granite tops, wood cabinets, GE Profile appliances, and a incredible kitchen island with a gorgeous custom-made Mahogany counter-top. The craftsman style interior features a board and lathe ceiling, Solid wood interior doors, 5" baseboards, and ship lap walls. You'll love the split bedroom plan with a large master bedroom complete with a large shower, updated vanity with double sinks, and a walk in closet. The large salt water pool and spa are set in the over-sized fenced yard. A 2 car garage is ample and even has room for a workshop. For a small optional fee, you can use the community boat ramp with direct access to Terra Ceia Bay only minutes from Tampa Bay and the Gulf of Mexico. Palmetto Point features a community dog park and recreation building offering easy living and fun without deed restrictions or mandatory HOA fees.